FRUIT OF THEIR LABOUR: "The concept of the show is that it is pretty much a musical. 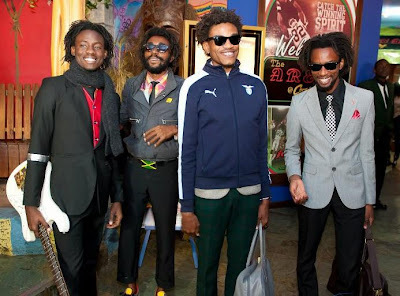 It is set in a bakery and we have our instruments," explains NoMaddz bandleader Sheldon Shepherd about the group's upcoming dub musical Breadfruit is the New Bread Baby, which premieres at New Kingston's Theatre Place on May 8. "We kinda missed the stage to an extent. It is a love of ours, and we want to do some work in the theatre before we move again." As Shepherd explains, Breadfruit offers a mix of dub poetry and music and is laced with wholesome family entertainment. "It is a family show, and it should be really fun. We are anticipating a nice feedback. I am expecting people to come out to see this breadfruit, this freshness. Just maybe during the fun, they can learn something." In addition to Shepherd, NoMaddz is comprised of musicians-vocalists Everaldo Creary, Chris Gordon and O'Neil Peart. PRESSING MATTERS: "There is a view that journalism is primarily about the adversarial. That certainly has its place; corruption must be uncovered, fraud must be dealt with, and truth must be spoken to power. But if that is all that journalism does, it leaves a people mean-spirited, cynical and disempowered." 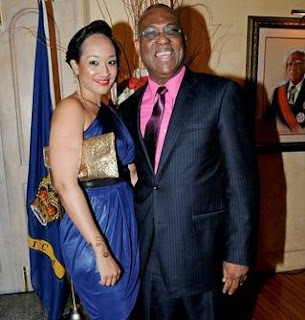 Those strong words coming from author-journalist Ian Boyne (above, with daughter Kelly-Ann) as he addressed Wednesday's launch of Profile of Excellence, his brand-new book that encapsulates his past 26 years of interviewing movers-and-shakers on his award-winning TV show Profile. Says co-writer Glenford Smith, "It is out of my interaction with [Boyne], out of watching his programme, out of being mentored by him that I came to believe in myself and began to see possibilities for myself." Profile of Excellence is now available from major booksellers islandwide.